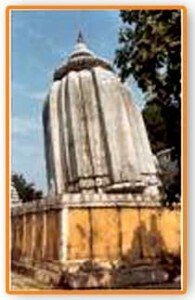 Huma, 32 km from Sambalpur and 350 km from Bhubaneswar is adorned with a Leaning Temple dedicated to Lord Bimaleswar. On the River Mahanadi, it is a scenic spot of great excellence. The Kudo fishes here are delieved to belong to Lord Shiva and they are very friendly to visitors. This entry was posted in Leaning, Orissa. Bookmark the permalink.